Taking place every three years, the 15th General Assembly of the Synod of Bishops was held in Rome, from 3 – 28 October, 2018, on the theme ‘Young People, Faith and Vocational Discernment’. The Synod is an assembly of bishops from around the world who gather with the Holy Father, Pope Francis, to share their wisdom and experiences in the common pursuit of pastoral solutions which have a universal validity and application. Archbishop Eamon Martin of Armagh, the President of the Bishops’ Conference, and Bishop Donal McKeown of Derry, chair of the Bishops’ Council for Pastoral Renewal and Adult Faith Development, represented the Irish Bishops’ Conference at the Synod. Prior to, during and since the Synod, the two bishops have engaged with representatives of diocesan youth ministry across Ireland. 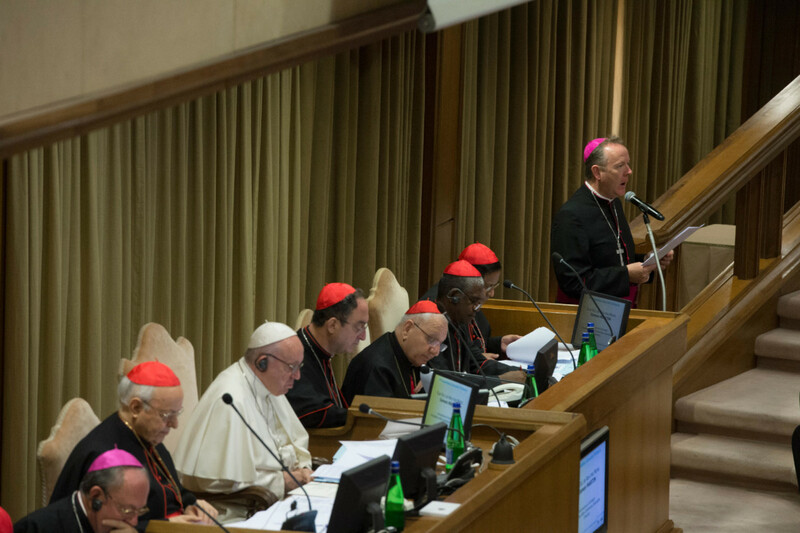 Please see here for more information and the English language translation of the final document of the Synod.